Eurovision's journey for Latvia has begun tonight. The country's national selection went on tonight and selected the first four acts and songs moving onto the next stage. Aivo Oskis, Edgars Kreilis, Samanta Tīna and Laime Pilnīga are one step closer of representing Latvia at this year's Eurovision Song Contest to be held in Israel as they were announced as the very first finalists of Supernova 2019. The contests will be back on the same stage in two weeks for the grand finale. 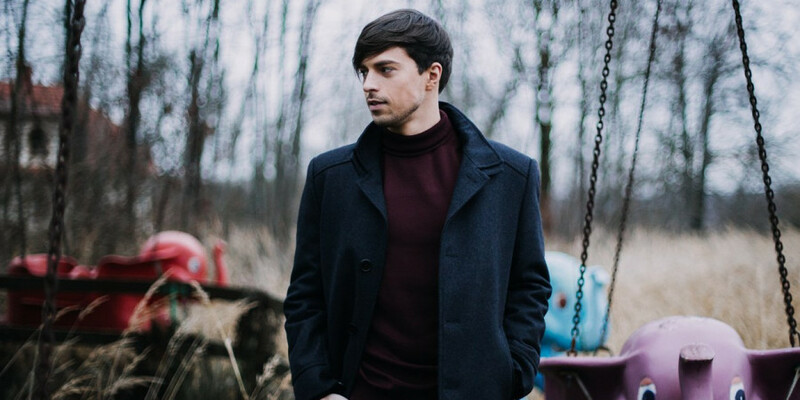 This is the second time in a row that Edgars Kreilis qualifies for Supernova's Grand Final as it happened last year with his song "Younger Days". Along with Edgars and the three other qualifiers, four other songs were performed tonight. The qualifiers were determined by a professional jury and the public at home who had the chance of voting for their favorite songs. Two hosts, four judges and eight contestants. That was the landscape for Supernova's first semifinal. After a quick introduction, the songs were performed in the order below and after roughly two hours, the results announced. Kris & Oz - "Midnight Streets"
Filled with soul and strong vocals, Kris & Oz presented their song with a somewhat minimalistic staging that featured a single add-on: the black and white effect after the first chorus. It isn't usually the type of music that would go to Eurovision but they surely deserve some recognition for the risk. Joined by a dancer on stage and barefeet, Alekss performed his Supernova entry "Fireworks" highlighting his red outfit as it was the only coloured part of the staging. Despite the song being somewhat uptempo, the singer barely moves on stage leaving that for the dancer. Liga Ridere - "Bušu tepat"
Perhaps the most traditional entry and performance of the bunch. Liga? was the only act singing in Latvian. Besides that, the singer's song does resemble a few nostalgic tunes and her performance follows what is expected from a performance in the tradition point of view. Laime surely helped the contest achieving even more diversity as "Awe" mixes tastes of country and folk in it. Following his colleagues steps, the performance was quite minimalistic and naked of special effects. Edgars Kreilis - "Cherry Absinthe"
Edgar is back for some more. Last year, the Latvian singer was able to qualify for the final and repeated the prize this year. "Cher Abstinthe" is a song filled with electronic vibes. As for the performance, he was joined with four female backvocals that were also in charge of the choreography. Elza Rozentāle - "You Came On Tiptoe"
In an interesting white outfit, Elza's performance started quite smoothly until the chorus - and its break - kicked in and two dancers invaded the stage being the female dancer lifted in the air and making justice to the song title - "You Came on Tiptoe". The contemporary dancing was surely a highlight of the entire show. Aivo presented a Pop Dance song at this year's Supernova. The song resembles songs like "Heartbeat" or even "Love Injects" in terms of production and feel. As for the performance, it was quite stripped down with Aivo guiding the entire thing. Samanta Tīna - "Cutting the wire"
Supernova production knew what they were doing when they asked Samanta to perform last. Filled with soul, energy, choreography and strong vocals, the singer's performance brought the house down with the most elaborated performance of the night.